Business Class = free access to the United Red Carpet Lounge. And to make it even better, I received two free drink vouchers. 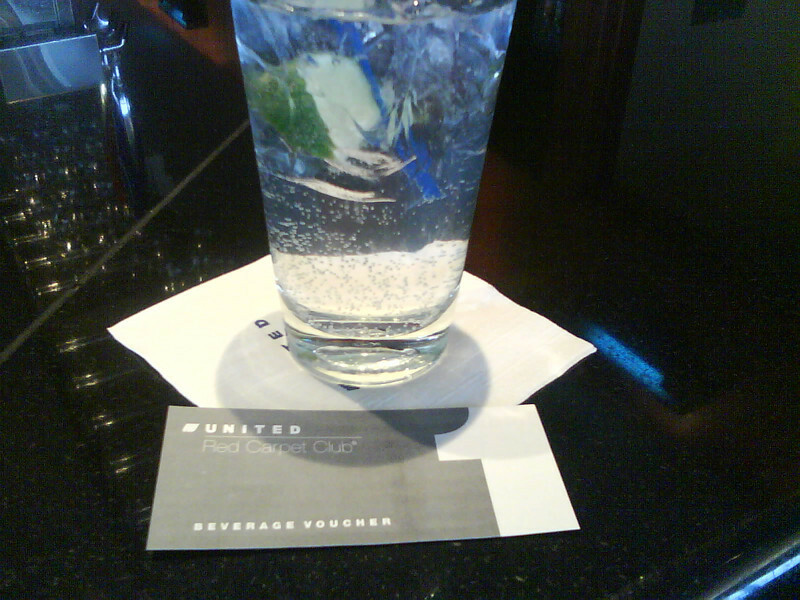 Absolut & Tonic makes for a smooth flight.